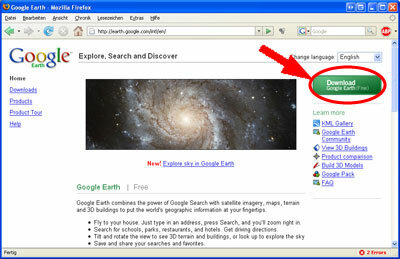 After you have downloaded and installed Google Earth start the program. 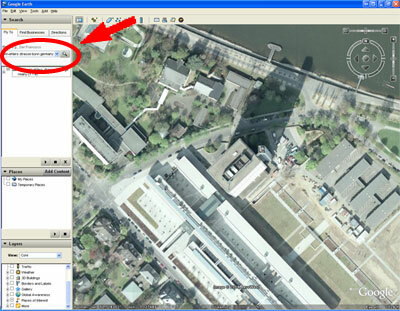 Make sure that ‚Decimal Degrees’ is selected under ‚Show Lat/Long’! 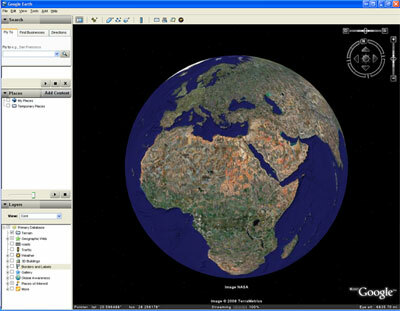 Move your mouse to the exact point of your location within the satellite picture. You will find the exact latitude and longitude in the left bottom corner of the map.